I got some with every purchase. 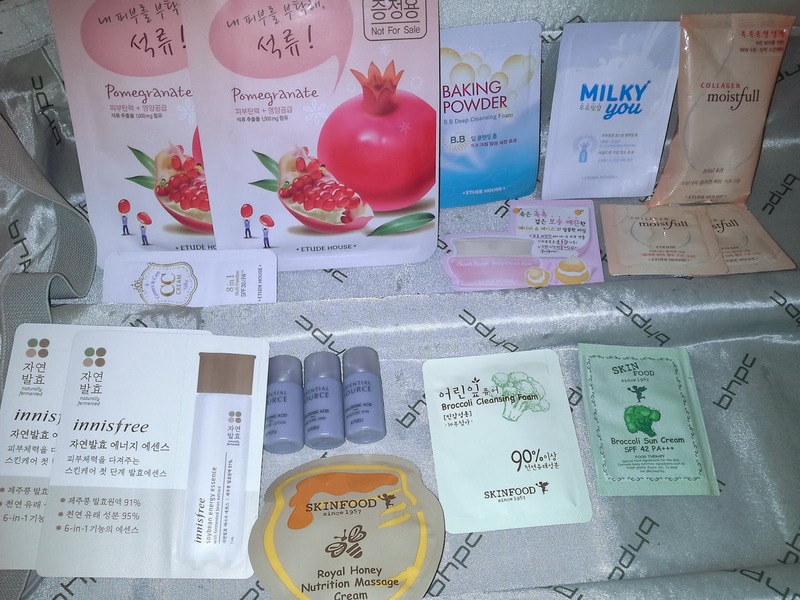 Etude House - Pomegranate face mask, baking Powder BB Deep Cleansig Foam, Milky You One Step Cleansing Foam, Collagen Moistfull trial kit, Collagen Moistfull Cream, CC Cream (silky), Sweet Recipe Baby Chou base. 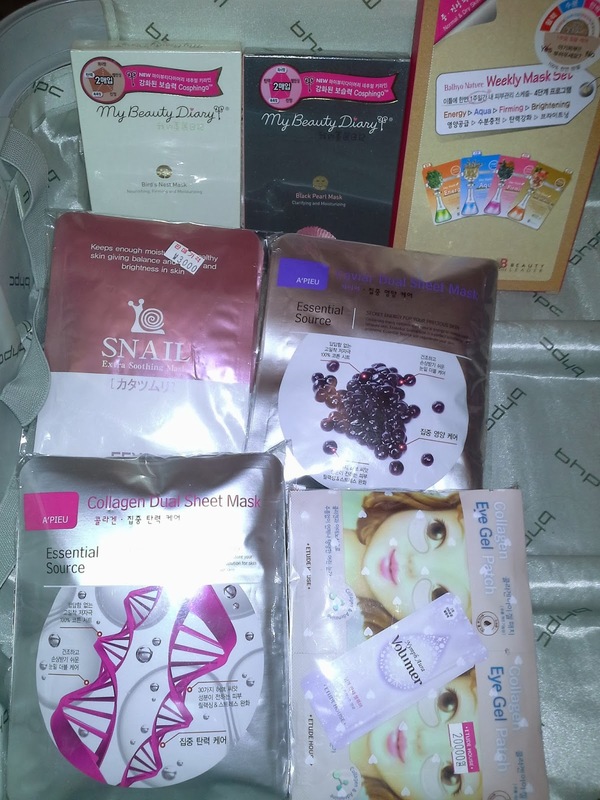 Just leave me a comment if you're interested in any of these products, cause I'm planning to review some of them.